Some novels offer the perfect opportunity for reviewers to palliate otherwise desolate and sundered lives. Notable examples in recent years include Vila-Matas' Montano's Malady, Jonathan Littell's The Kindly Ones and Tao Lin's first novel Eeeee Eee Eeee. There are many others but Tao Lin's Taipei, published last year, is an extreme case. One reviewer found relief in the "vapid stupidity" of its prose, another in its "massive discharge of waste matter", a third in its "mindless kitsch". As we watch them scurry in haste to the well-furnished bunkers of polite literary society, we can infer each reviewer found clarity and meaning in the apophatic trial of the real thing, leaving only smeared pages of abandoned review copies fluttering on the waste land above. Meanwhile, those still exposed to the breeze might be better able to recognise the gifts of subjecting experience to writing, or perhaps that should be subjecting writing to experience. The two are often difficult to tell apart, which might be why such hacking is routinely accepted as the task of critics: everything must be kept clear and fiction must remain a desirable product for consumers. 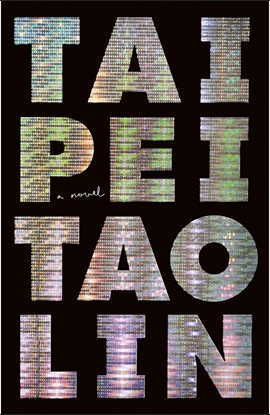 But just as the words Taipei and Tao Lin run into each on the outer cover of this novel, so the artist's struggle to articulate a relation to the world disappears into the work of writing so that neither can maintain a discrete identity. The meeting of life and art is a familiar theme in fiction of course, and while some are content play with biographical fact and bibliographical fiction in order to run amusing rings around an audience, for example Adam Thirwell characterises Philip Roth's fiction as "daring the reader to confuse [fictional] doubles for the original" by "making the life and the art seem like disguises for each other", Tao Lin approaches it more anxiously and without the distance of mastery. The novel is narrated in traditional third-person omniscience reporting the thoughts and actions of Paul, a 26-year-old New York writer with a family in Asia, with specific attention on his relationships with soon-to-be departed girlfriend Michelle and new girlfriend, soon-to-be wife Erin. They go to literary events, visit his parents in Taipei, "ingest" prescription painkillers and Ecstacy, mention how "depleted" they feel, watch movies on their MacBooks, make movies on their MacBooks, but nothing ever generates an event to disrupt the core of their existence or the narration of their existence. If there is nothing especially radical here in literary terms, it does generate a mix of blankness and disquiet in the reader. The repetition of "ingest" and "depleted" throughout blows air between word and experience to the point where neither has any weight, so we read them without gaining what reviewers persuade us to expect in terms of narrative development. Disquiet then is the impossibility of anything happy emerging in our otherwise pleasurable habit of reading. We are not moving forward. So while Taipei evokes the apparent insignificance of our modern lives, what might be dismissed as literary posturing and provocation is instead realism become tragically unreal. Critics are also suspicious of the social media references as indicative of a cynical contemporaneity, spurred on by the author's persona presented in the same social media. It is true that Paul and his friends are embedded in contemporary American culture to an alarming degree – there is only one novel mentioned to compare to the learned references to philosophy and literature in Montano's Malady and The Kindly Ones – and yet, as a result, the friends float free of any contact, like despairing ghosts in the machine. Their culture is a given, a plateau of distraction and superficial interaction – fast food restaurants, chain stores, electronic goods, movies on Netflix – but, like a plateau, lacking any decline or elevation. Seeking relief, Paul notes that he has just sent his longest email via iPhone and then listens to his favourite music track on high volume and repeat, concentrating on the drums or the bass "so that he becomes memoryless". The reason why it is his favourite is as inconsequential as the iPhone email record and the track appears to be his favourite only because it comes closest to enabling the condition whereby he loses the self compelled to make such distinctions. While for Estragon and Vladimir everything is promised in the form of Godot, in Taipei, there is only the promise of nothing. All of which leaves the status of this novel in question. What kind of relief does yet another novel about relationship issues and existential gloom offer? Recently I suggested the reason why the works of Marcel Proust and Karl Ove Knausgaard maintain a fascination with readers is not due to the extreme length of their books or similarities in subject matter but instead the ambiguity of their genre: both are presented as novels yet are so closely aligned to the reality of the authors' own lives that we read them more aware of everyday mystery and chance than in a traditional memoir, and far more so than in 'gritty' realism. While the coy name change moves Taipei closer to Roth/Zuckerman territory than to the same-name first person of Proust and Knausgaard, this is a necessary function of the condition of interchangeable signs without meaning from which the novel emerges: Paul is barely himself, and it is no joke. So while Taipei might not gain the aura of Proust and Knausgaard, it shares their struggle. Paul began to feel, in a way he hadn’t before, like he comprehended double suicide—the free and mysterious activity of it, like a roller coaster descending only into darkness, but accessible from anywhere, on the theme park of Earth, always open. Comprehension is only a moment, only 'like' and never itself, and occurs so rarely that it flares like fireworks of dark matter, promising, much like writing, much like reading, the presence of mass where mass cannot be seen. The novel resolves without resolution as darkness is pondered again by Paul, in bed with Erin sleeping beside him, thinking of the "glistening, black, mound-shaped mass" of a monkfish she ate in a restaurant and whose picture he then looked up on Wikipedia to show her. He feels emotional contemplating "the light-absorbing mass of it, a silhouette of itself", just as we might contemplating this novel. It helps to palliate otherwise desolate and sundered lives.